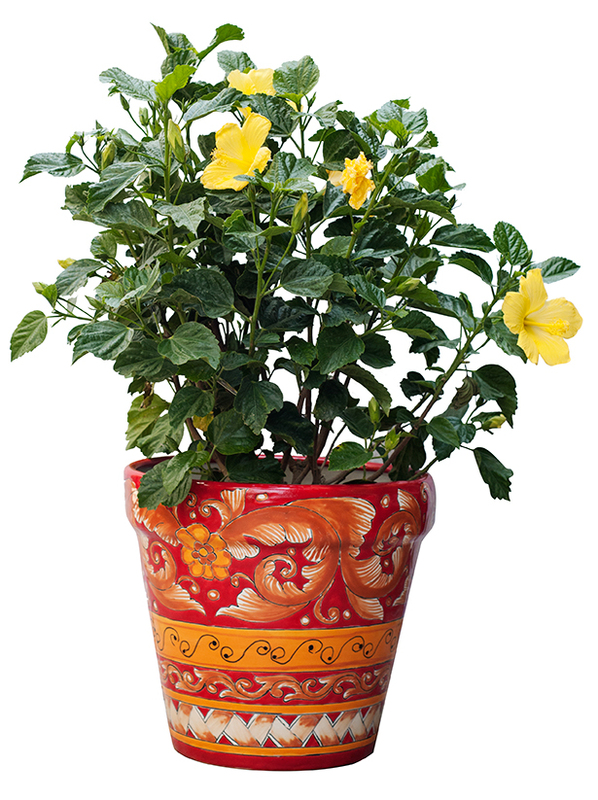 Dot your landscape with potted plants and flowers in beautiful planters. 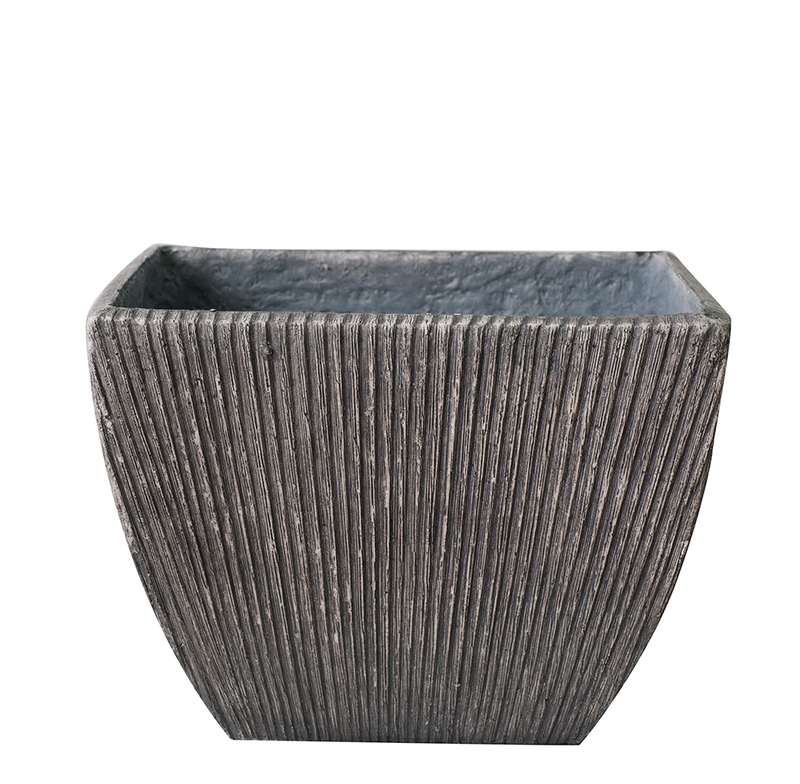 one: Versatile wide opening planter, available at Greenscape Gardens and Gifts. 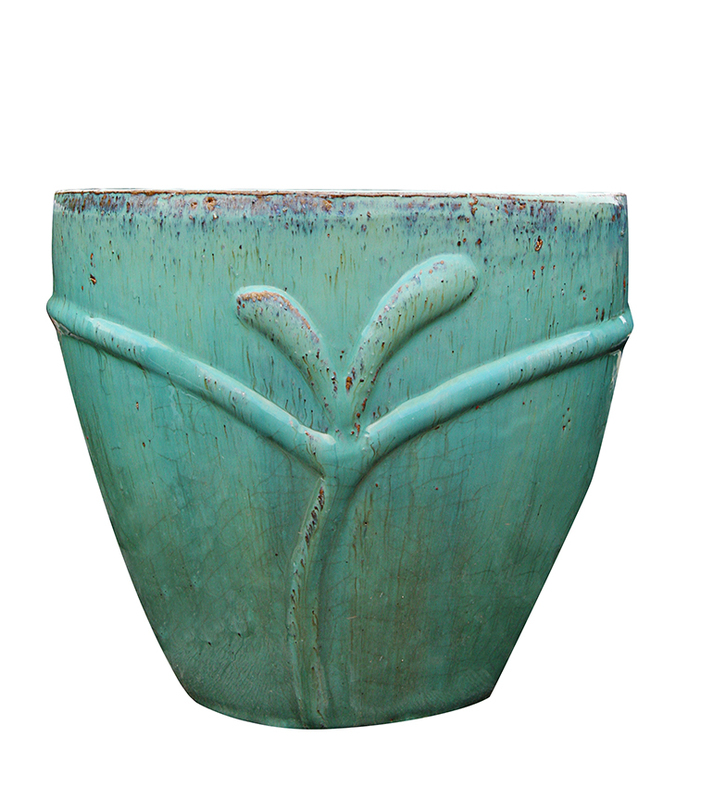 two: Colorful ceramic planter, available at SummerWinds Nursery. 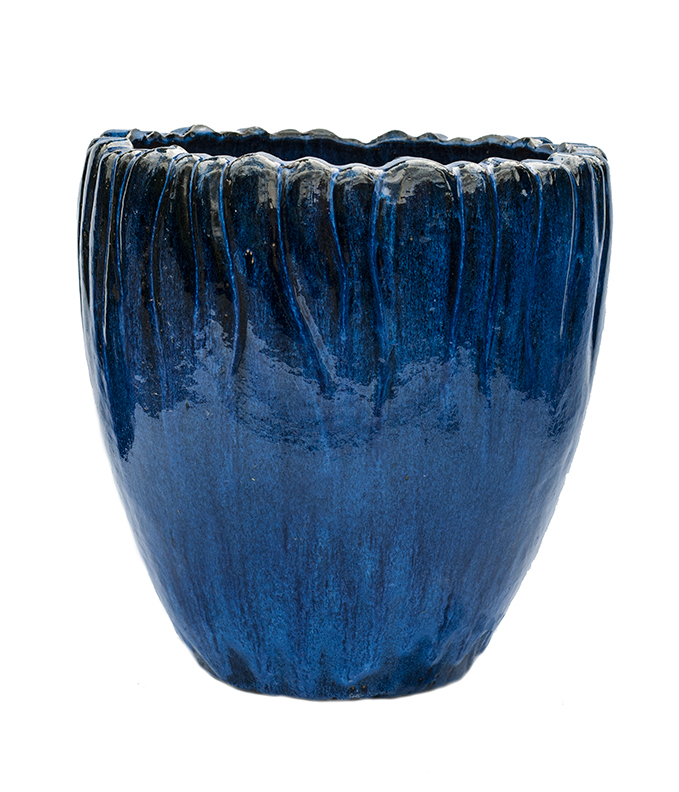 three: Blue scalloped top planter, available at Sugar Creek Gardens. 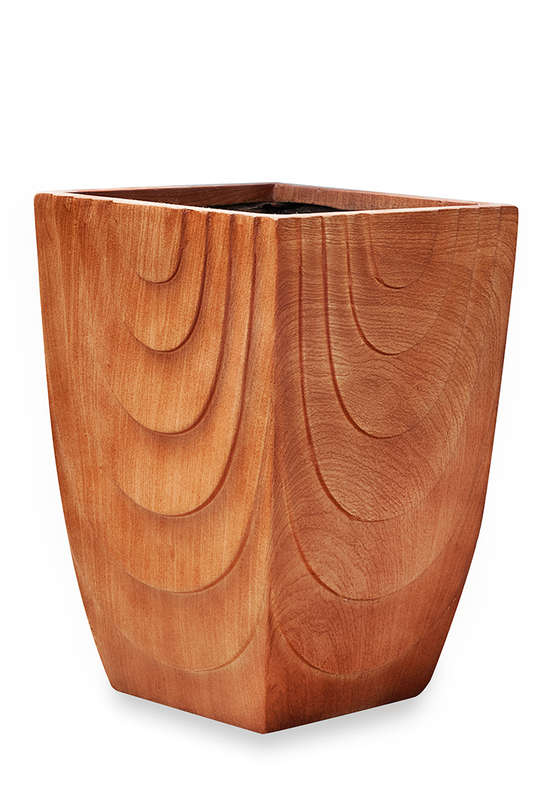 four: Faux wood Barcelona planter, available at Passiglia’s Nursery and Garden Center. 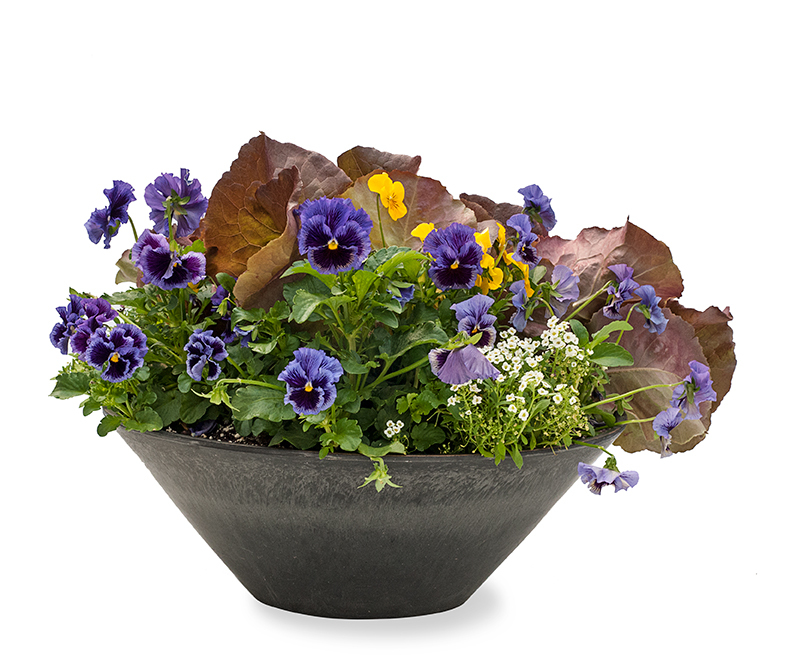 five: Flowers within a geometric design planter, available at Frisella Nursery. six: Abstract design on an aquamarine planter, available at Frisella Nursery. 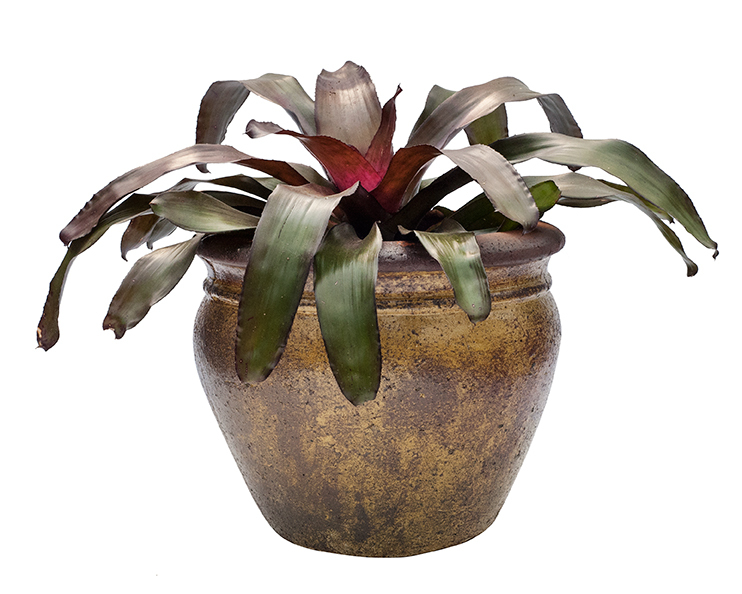 seven: Brown and yellow pot-belly rimmed planter, available at Greenscape Gardens and Gifts. 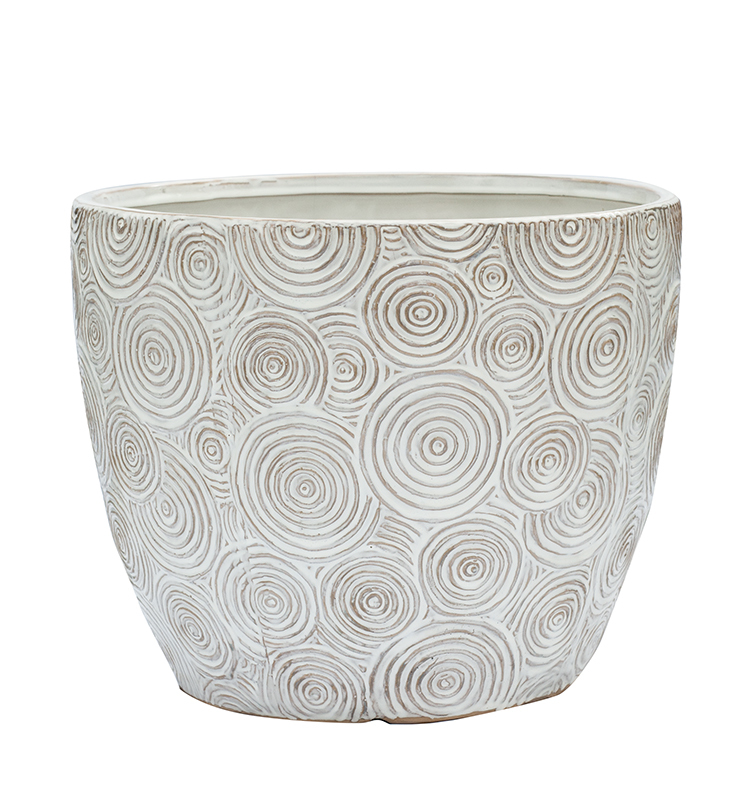 eight: White circles planter, available at Sugar Creek Gardens. 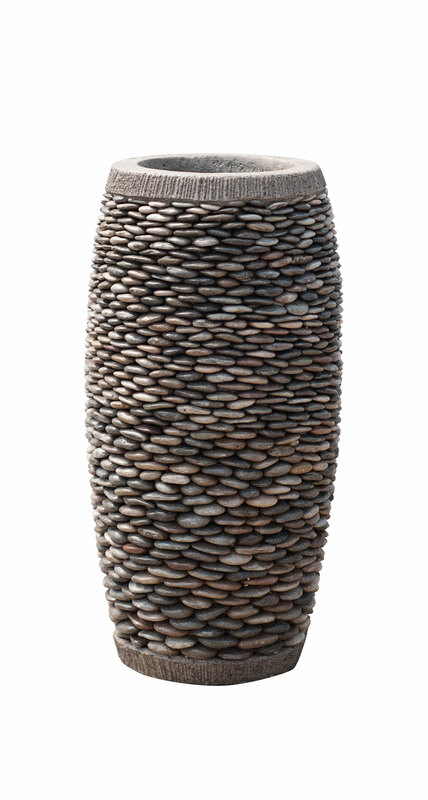 nine: Tall pebble planter, available Passiglia’s Nursery and Garden Center. ten: Ribbed square planter, available at Sherwood's Forest. 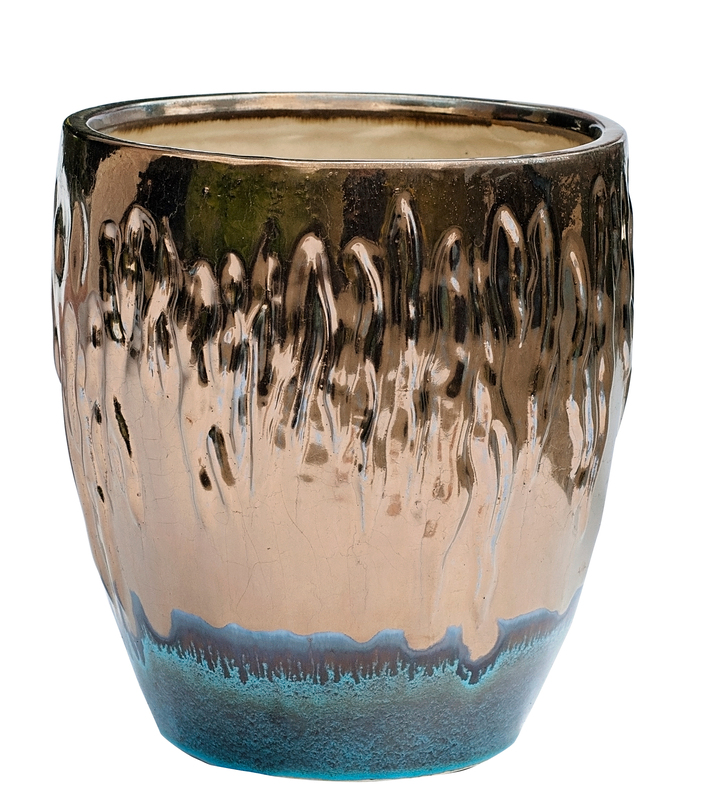 eleven: Metallic gold and blue planter, available at Sugar Creek Gardens. 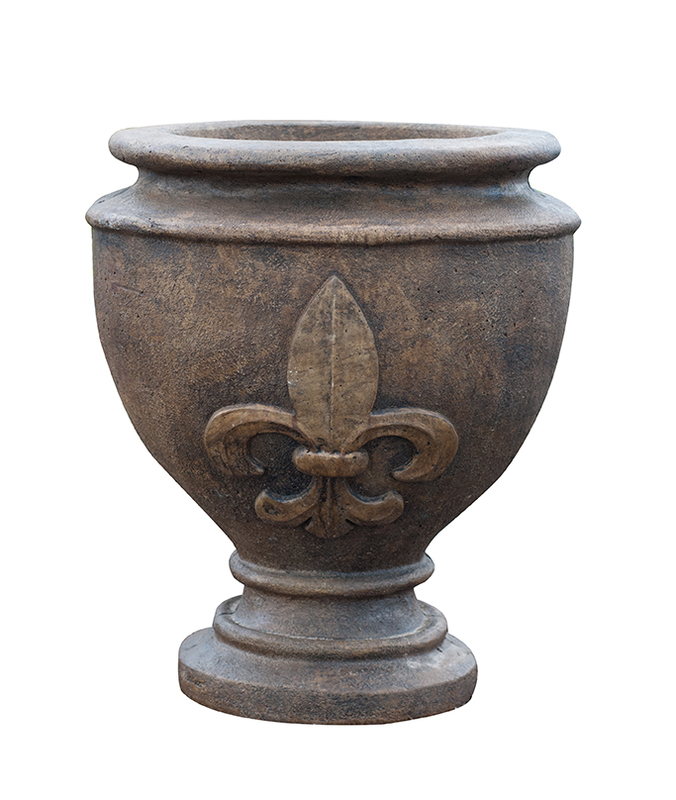 twelve: Fleur de lis planter, available at Terra. 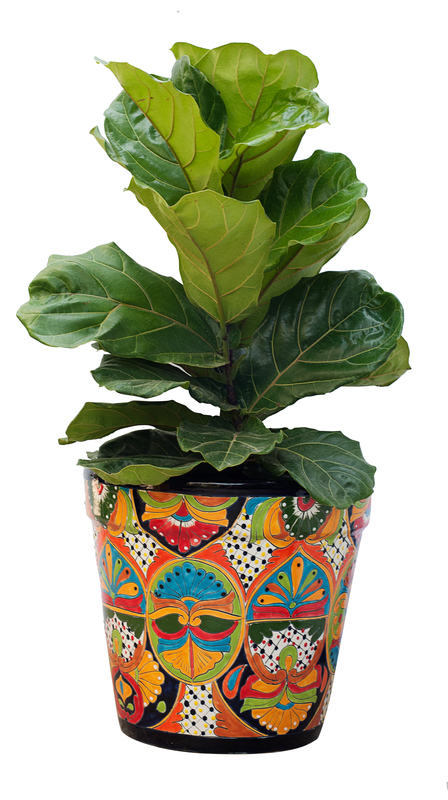 thirteen: Colorful ceramic planter, available at SummerWinds Nursery. 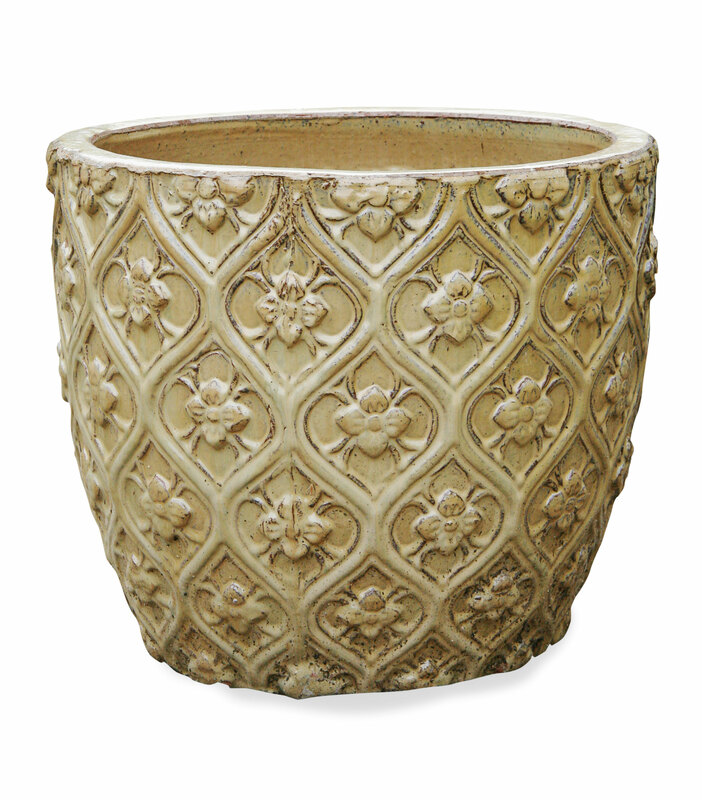 fourteen: Tall marble rose planter, available Passiglia’s Nursery and Garden Center. fifteen: Ridged stone planter, available at West Elm. 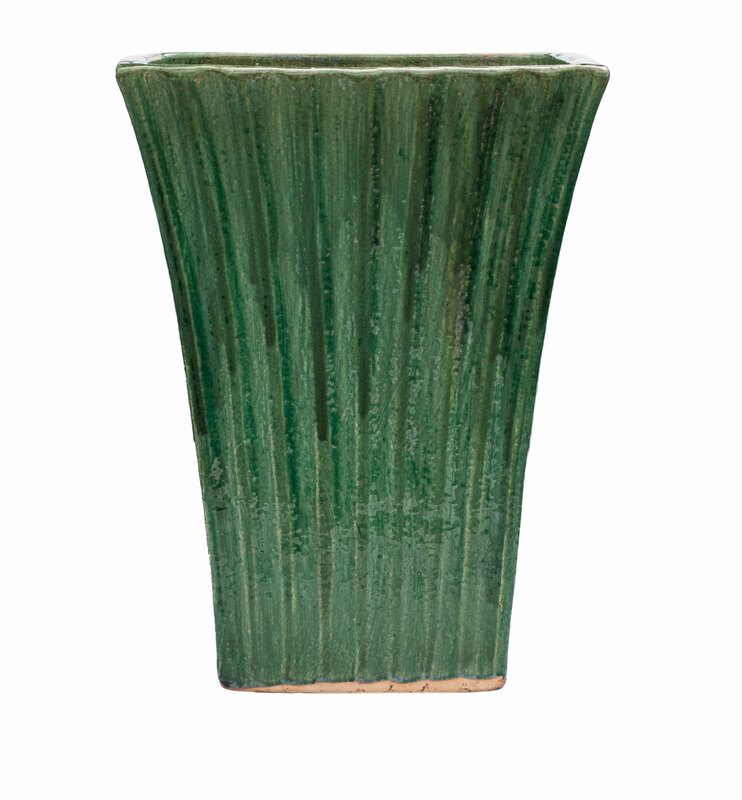 sixteen: Tall green ribbed planter, available at Sugar Creek Gardens. 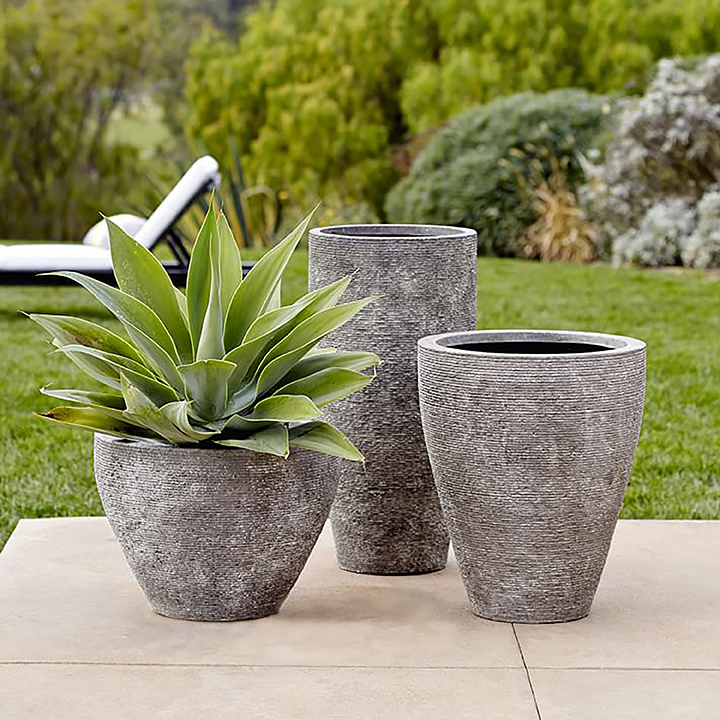 Dot your landscape with potted plants and flowers in beautiful planters. Colorful and decorative, planters add an extra touch of style to your yard.